How can anyone love Alec Baldwin? Nobody, not even his own daughter, is safe from his offensive outbursts, including anti-gay tirades, racial slurs, and angry, threat-filled meltdowns. 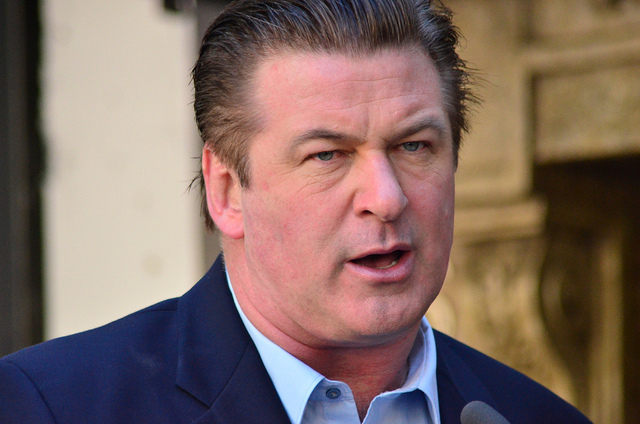 Here’s a roundup of some of Alec Baldwin’s most memorable outrageous scandals. Like many celebrities, Alec loses his cool when it comes to paparazzi snapping pics of his kids. When one journalist tried to capture an image of his daughter Carmen as they left their Manhattan apartment, Alec, who’s not known for controlling his temper, chased him down the street. TMZ reported that Alec could be heard calling the shutterbug a “c–ksucking f-g.” Alec initially denied the slur, claiming he said, “fathead.” But he later tweeted an apology to GLAAD, claiming he didn’t know that “c—ksucker” was an “anti-gay epithet,” and that he would immediately “retire it from [his] vocabulary.” The stunt cost Alec his MSNBC late night talk show.